Re-clocker to resynchronize the signal—bring it back to its original condition. 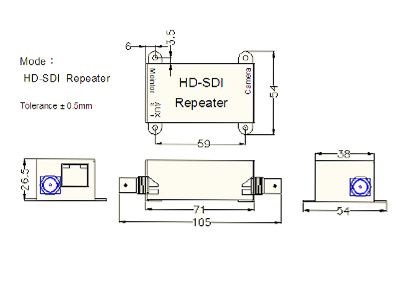 Cable Driver to retransmit the signal with its original characteristics restored. able to power out/in by coaxial cable. allow transmitting Ctrl signal(UCC) by coaxial cable.